Ram Charan is an excited man. Recently, he finished shooting for a couple of stylish songs in several scenic locales of Spain for his upcoming film in Sreenu Vaitla’s direction. 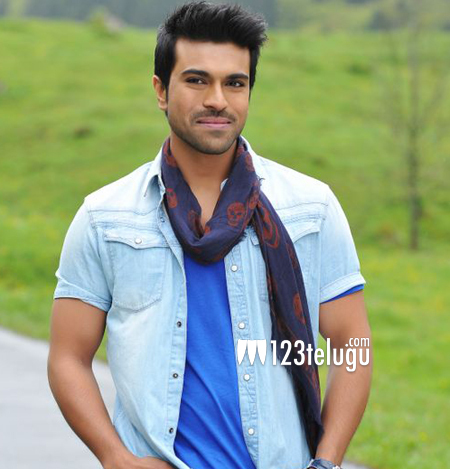 Ram Charan is particularly happy with the fast dance moves he grooved to, which he claims was after a very longtime. The Spain schedule has been completed and the unit is heading back to India. Tentatively titled My Name Is Raju, this high budget entertainer will showcase never seen before stunts performed by Ram Charan. Star writers Gopi Mohan and Kona Venkat are back to writing for Sreenu Vaitla and fans are hoping that the trio will live up to their reputation. Rakul Preet Singh is the film’s heroine and Thaman is the film’s composer. The film is being produced by senior producer DVV Danayya.